Are you still reading, still thinking about trying herbs? Have you decided you’re willing to take responsibility for your own herb use? Here are some good herbal habits; habits that will help keep you safe. If you can find a good herbalist, Eastern or Western, begin with one. He or she can save you a lot of trial and error. Once you get past the “chamomile tea stage” of herb use, you’re looking at real medicine, and you can’t learn the subtleties of real medicine by reading a book or two. If you plan on going beyond the most superficial stages of herb use, you need to find a guide to help you. It seems that herb information is everywhere—news programs, grocery store flyers, the Internet. Be aware of people’s motives in telling you that a botanical supplement is good for you. Health food stores want to sell you something. Magazines and news programs want to sell ad space and air time. The traditional medicinal establishment—doctors, hospitals, drug companies—want you to stick with a system that’s comfortable for them, one that they have expertise in (and one that makes them money as well). Herbalists and alternative medicine practitioners also have a bias toward what they know as well. Knowing your information source is critical. Internet sites, especially those trying to sell you something, are notorious for their omissions. For example a study of herbs with toxic effects found that only three percent of the sites surveyed mentioned the toxic effects of borage oil, a drug banned in Germany because of its risks. If you are getting the bulk of your herbal information from online herb stores, you have a problem. Similarly, avoid headline chasing. You’ve probably seen them, the stories on the evening news about St. John’s wort, echinacea, and other popular herbs. They hit big, everyone talks about them, and then they disappear. The media’s herbal “flavor of the month” is often a story based on a single study. That single study is then “spun” to sell papers or air time. Once the herb hits the public and garners interests, other media outlets will jump in to capitalize on that interest. In other words, you’ll learn more about an herb’s popularity from the media than you will about its safety or efficacy. You need to make sure that if you decide an herb is safe enough to try, you do so because of a body of data, not because of the latest media blitz. Where do you get good herbal information? Government sites tend to be good, very conservative usually, but good. Germany’s Commission E monographs contain a nice blend of science and tradition. The Dietary Supplement Information Board has information about dosage and interactions. The PDR for Herbal Medicine does as well. In addition to knowing who’s telling you to use a particular herb, try to trace herb information back to the original research. Frankly, when it comes to herbs, information is patchy. Some herbs have been well researched. Others have not undergone clinical trials at all. Some herbs have a strong consensus of use from culture to culture, past to present. Others have been used for everything under the sun. The only thing that’s certain is that if you are trying to get a picture of an herb’s efficacy, you’ll find a huge spectrum of evidence: in vitro research results, clinical studies, traditional herbalism folk uses. You’ll often need to make a decision based not on well-designed large clinical trials but on whatever you can get your hands on. On the one end of the spectrum is the Western medical community. In the United States, the FDA has the final word about herbs and what claims an herb can and can’t make. Herbs are classified as dietary supplements not herbal medicines. If an herb manufacturing company wants to be able to make medical claims, they will be held to the same standards as prescription drug manufacturers. In other words, they must prove that a discrete component in the herb treats a discrete health problem both in laboratory and clinical trials. The FDA doesn’t care about history, tradition, or anecdotal evidence when it decides what claims herb companies can make about an herb. The FDA wants chemical analysis and large-scale trials. If herbs cannot pass the FDA gatekeepers, those herbs are not considered to be medicine, and they may not make any specific health claims. Somewhere in the middle of the spectrum is Commission E. Commission E, Germany’s official government collection and analysis of herbal research, is much more likely to listen to traditional use than the FDA. That’s not to say they ignore research and trials. In fact, Germany is known for its herbal research. But if an herb has a strong tradition and is unlikely to hurt you when used properly, Commission E will recommend it. The translated findings of the commission are available but expensive. A more affordable summary is available in Steven B. Karch’s The Consumer’s Guide to Herbal Medicine. On the other end of the spectrum are the traditional herbalists. Throughout time herbalists of many cultures have been using herbs, experimenting with them, watching their effects and passing that knowledge down from master to apprentice. This knowledge, of course, is only as good at the observer’s ability to watch with a trained, unbiased eye. It is also only as good as the method by which the knowledge is transmitted from teacher to student. The British approach to herbs is to make this observation and transmission process rigorous. Their National Institute of Medical Herbalists has high standards for membership. British herbalists have had the protection of the crown since Henry VIII’s day, so herbalism students cannot only study in small private schools like they do in the U.S. but also in herbal programs in major universities. Mentoring (essentially a sophisticated master–apprentice relationship) has been taken to the extent that students can achieve postgraduate levels of education combining supervised hands-on work and classroom training. The FDA’s end of the spectrum offers proof of herbs’ effectiveness in terms that someone trained in Western medical ways of thinking can understand. Unfortunately, it doesn’t offer that proof very often because rigorous testing of herbs is not very common. On the other end of the spectrum is much more experience with herbs, but by American medical standards (AMA standards) it’s not very rigorous. Most articles and recommendations come from one source or another. Wise herb users learn what they can from both. The advantage of prescription medicine is that it comes in a bottle with very precise instructions on the label. You know that the medicine has been formulated and tested at that standardized level. Using prescription drugs is simple. Herbs don’t have that benefit. Bulk herbs and some bottled herbs have no dosage information at all. Those that do, vary from brand to brand. It’s up to you to seek out information about safe dosage and to follow it. The Dietary Supplement Information Board, for example, has online information about dosage and safety for a number of herbs. Herbs that have a USP seal on the label will also contain reliable information about dosage. Once you find that commonly accepted dose, follow it. More is not better for many herbs. Some are toxic at high doses, and it doesn’t take much for the dose to be “high.” Sometimes as little as a drop or two can mean the difference between effective and unsafe. For example, essential oils, the essence of the plant extracted commercially using steam distillation, are very strong. A dose that looks like nothing could be enough to do you serious damage. Always know what preparation you’re taking, how strong it is, and what the maximum dose for that particular preparation is. Even “food” herbs can be dangerous in large doses. A little cayenne in your chili spices things up, but too much taken in capsule form can damage your liver. A little cinnamon in an apple pie is a wonderful thing; too much cinnamon or cinnamon oil can cause signs of central nervous system shutdown. With prescription medicine, you expect the drug to jerk you around, to work its effects whether the body wants to go there or not. Herbal medicines, on the other hand, are not a club to beat your body into a cure. Though some work quickly, others are a quiet support for the health that your body wants. The test of whether an herb is working is not always whether you “feel something” immediately after taking it. The test is whether you are healthier in a reasonable amount of time. How long is a “reasonable amount of time”? That depends on the herb. It also brings me to my next point. If you are going to be taking herbs, you need to know which are short-term herbs and which are long-term herbs. 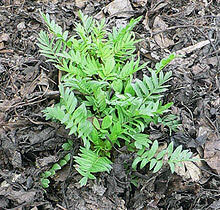 Some herbs, like valerian for example, seem to work better if you take them for a while. Others like ginger or peppermint work quickly and so are typically used as short-term herbs. Some herbs are addictive or lose their effectiveness if you use them too long. Others, those that are primarily antioxidants, for example, work mainly as a health support, and don’t have clear “effects” per se. You need to know which category your herb falls into before taking it. Never take information from just one source. The last thing you want to discover the hard way is that the author of some book accidentally misplaced a decimal point when recording dosage. Here are the things you want to cross-check before using an herb: dosage, warning signs, contraindications, and interactions. If you are thinking about using herbs, it’s probably because you have decided to take more personal responsibility for treating your own ailments. What I’m inviting you to think about here is the place that research plays in that personal responsibility. If you use herbs, you must either find a reputable herbalist, or if you want to do it yourself, you must learn what the herbalist knows about the herb you want to use.